INDIAN EVERY DAY is an enlivened approach to Indian cuisine taking all the glamour of traditional ingredients and fusing it with contemporary, holistic recipes. 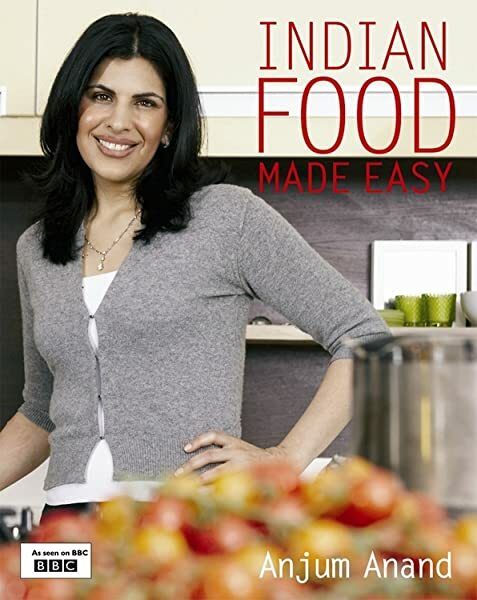 Anjum Anand has worked in trend-setting restaurants around the world and has dedicated her career to producing a cookbook that fits practically with the dietary requirements and home-style flavours she adores. She appreciates the struggle to find light and healthy Indian food and does her utmost to make balanced meals we can indulge in every day. Spiced Colocasia, Scrambled White Cheese with Capsicum, Rice and Lentil 'Risotto', and Luscious Lamb Brochettes are stunning examples of her miscellany. Makes Indian cooking so simple. Well written and I use it a lot for both home cooking and for entertaining. Anjum's books have never let me down. 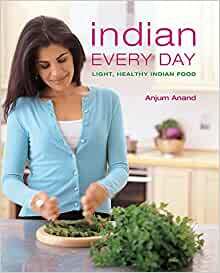 Great buy and would encourage all curry lovers to get a copy to get a true taste of India in your own kitchen very easily. very good book,well presented colorful photos, tasty recipes. Just love this book, easy to follow recipes and as fat free as possible.